Lady Gaga is known for being a celebrity who loves to give back to her fans – or sould I say, little monsters. With close to 19 million followers on Twitter, it was only a matter of time before she created her own social community. 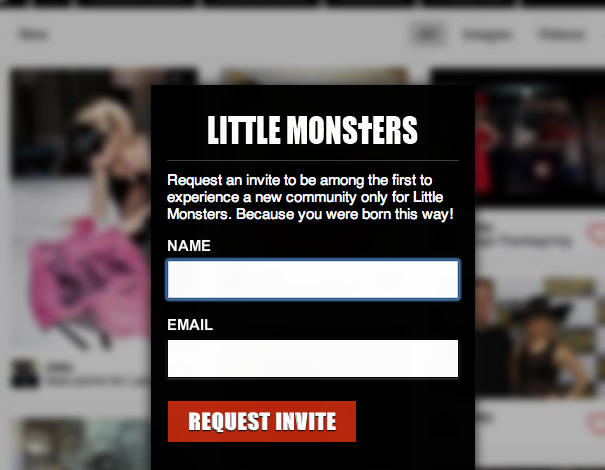 Thus, LittleMonsters.com was hatched um.. born…this way uh…created! According to ONTD, the site will be a way for Gaga to interact with fans through the inter-webs. Are you going to join up with Gaga on her newest venture? Let us know in the comments below!